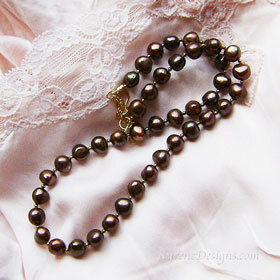 Decadent lustrous baroque pearls in a yummy rich chocolate colour. 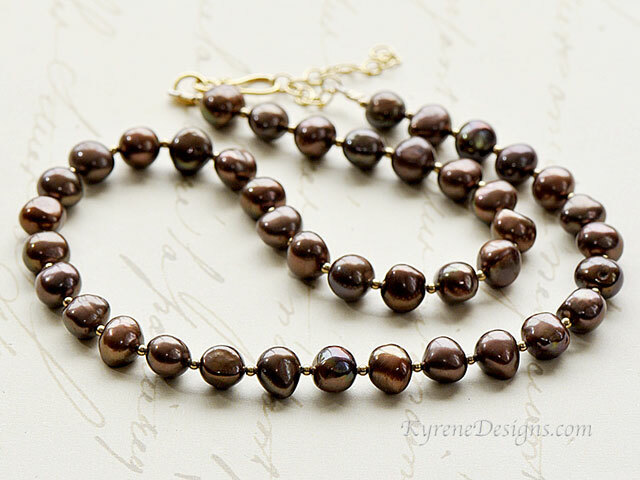 I've added 14ct goldfill beads to give a special look on this elegant necklace which can so easily take you from day to evening. Matching 2.5cm earrings on goldfill posts included. Length: 17 inches (43cm). Pearls 10mm. Easy to use hook clasp plus 2" extender in vermeil & gold fill. Permanently dyed pearls, strung on highly flexible jeweller's wire. View our materials page for information on 14ct gold fill.